Business owner trades thin blue line for fishing line! What do you do when your hobby gets out of hand? Enterprising Nottingham fishing enthusiast Lee Topham’s answer to his rapidly expanding hobby was to quit his day job in the police force and set up an online store where he was able to share his huge passion and expertise for fish-keeping, both tropical and marine fish, with a wider audience. Lee tells us more about his start-up journey. Can you tell us a bit about your business? 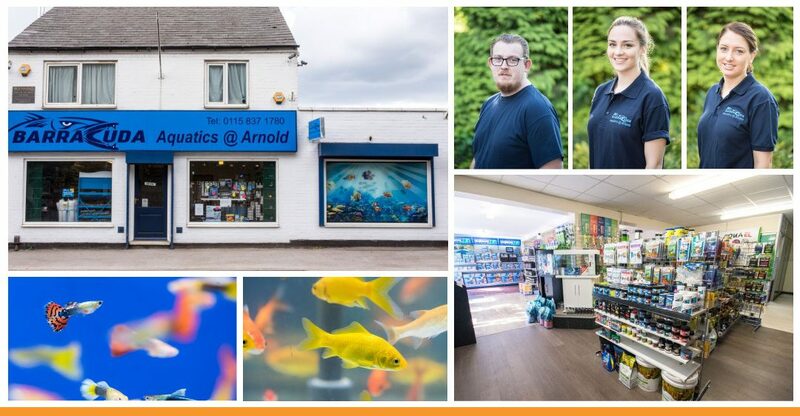 I started my business because of my passion for tropical and marine fish and found there were very few places that had the specialist knowledge and the stock to fulfil my needs. I started an online business (Fins N Things) and had a retail presence (Barracuda Aquatics) at a local Garden Centre. I very soon had to rent bigger premises to store my stock to support the online business. The retail store has now relocated to new premises in Arnold and the online business has been strengthened by my new e-commerce website. I now employ 5 staff across the business and offer a breadth of specialist knowledge in Aquatics. What was your day job before you decided to become self-employed? Before starting the business, I was in the Police force until my hobby got out of hand! My accountant recommended NBV’s assistance and when I met my mentor, David Hallam, I was impressed with the service on offer and that I could have an independent “sounding board” and wise counsel to guide me through a period of growth. I have recently attended an Employment Law Masterclass which was very informative. My Business Advisor’s expertise has been invaluable in helping me to grow my business and navigate through the challenges that growth presents. Managing constant change and dealing with the day to day issues of managing cash and staff are all challenges which I have learnt to deal with. Having a mentor to talk through these issues is of great benefit. What are your plans for the business, and do you have any advice for others embarking on their start-up journey? Going forward I want to continue growing my business both online through my new website and through my new shop in Arnold. As for advice, I would say that you must persevere and be determined to overcome all the challenges thrown at you. Keep a positive attitude and a sense of humour.